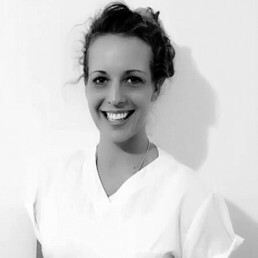 Read on if you’d like to find out where I gained my skills and extensive experience in Osteopathy and Events Massage. I qualified from my Masters in Osteopathy in 2016, but prior to this, I worked as a sports therapist for nearly 10 years, which enabled me to work with athletes at all levels. In addition, I have also taught semi-private and private Pilates and Yoga classes for 8 years. The principles and exercises from these disciplines form an integral part of my treatment and management plans. Alongside being in general clinic, I’ve been involved in multiple short and long distance cycling events, including heading up a team of sports physios assisting 11 cyclists in completing Le Tour- One Day Ahead, 300 cyclists completing London to Paris events and ultra-marathons including the Ocean Floor Race, Egypt. My personal experience with injury and teaching skills combined mean I can relate to the frustrations of injury, and I have the ability to explain to others in a way that is easy to understand. My training at the British School of Osteopathy enabled me to treat in external clinics, such as paediatrics, expectant mothers, HIV patients, the elderly, and the homeless. The skills I’ve gained and people I’ve met during my time in these clinics has lead to a broader knowledge of a wider patient base, and helped to develop treatment plans suitable for a variety of complaints and conditions. Would you like to benefit from my experience? If you’d like to work with me, require treatment or would like to find out more contact me today.